Chanteuse Country US née Reba Nell McEntire, le 28 Mars 1955 à McAlester (Oklahoma). 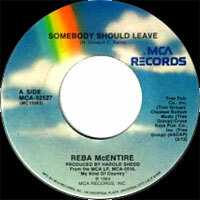 Reba McEntire was the most successful female recording artist in country music in the 1980s and 1990s, during which time she scored 22 number one hits and released five gold albums, six platinum albums, two double-platinum albums, four triple-platinum albums, a quadruple-platinum album, and a quintuple-platinum album, for certified album sales of 33.5 million over the 20-year period. While she continued to sell records in healthy numbers into the 21st century, she expanded her activities as an actress in film and on the legitimate stage, and particularly on television, where she starred in a long-running situation comedy. Such diversification made her the greatest crossover star to emerge from country music since Dolly Parton. Reba Nell McEntire was born March 28, 1955, in McAlester, OK, the second daughter and third of four children of Clark Vincent McEntire, a professional steer roper, and Jacqueline (Smith) McEntire, a former school teacher. Her older brother Del Stanley ("Pake") McEntire also became a country singer, while her younger sister Martha Susan ("Susie") McEntire Luchsinger became a gospel singer. McEntire was raised on the 7,000-acre family ranch in Chockie, OK, traveling with her parents and siblings to the rodeos at which her father competed. Clark McEntire was named World Champion Steer Roper three times, in 1957, 1958, and 1961. (McEntire's grandfather, John McEntire, had won the same title in 1934.) McEntire's mother had aspired to a career in music but never pursued it. She encouraged her children to sing and taught them songs and harmony during the long car trips between rodeos. Alice McEntire, the oldest child, did not actively seek a musical career, but the other three were members of a country group, the Kiowa High School Cowboy Band, as early as 1969, when McEntire began attending Kiowa High School in Kiowa, OK. She also entered local talent contests on her own. In 1971, the Kiowa High School Cowboy Band recorded a single, "The Ballad of John McEntire," for the tiny Boss Records label, which pressed 1,000 copies. As the early '70s went on, the band gave way to a trio, the Singing McEntires, consisting of the three siblings, which performed at rodeos. McEntire also followed in the family tradition of competing, becoming a barrel racer, the only rodeo event open to women. Two and a half years into her recording career, with very little to show for it, McEntire was paired with labelmate Jacky Ward for the two-sided single "Three Sheets in the Wind"/"I'd Really Love to See You Tonight" (the B-side a cover of the pop hit by England Dan & John Ford Coley), which reached number 20 in July 1978. That and her touring as an opening act for Steagall, Ward, and others increased her exposure, and her next solo single, "Last Night, Ev'ry Night," reached number 28 in October, beginning a string of singles that made it at least into the country Top 40. She first got into the Top 20 with her cover of the Patsy Cline hit "Sweet Dreams," which peaked at number 19 in November 1979. She still wasn't selling any albums, however; her second LP, Out of a Dream, released in September 1979, did not chart. It might be argued that Mercury Records had taken a 20-year-old neophyte singing the national anthem at a rodeo and, over a period of more than seven years, groomed her until she became a chart-topping country star. McEntire appears not to have viewed things that way, however. On the contrary, she seems to have been unhappy with the songs the label gave her to sing and the musical approach taken on her records, feeling that she was being pushed too much in a country-pop direction. She also has criticized Mercury's promotional efforts on her behalf. And, despite her recent success, the long years of development meant she was nowhere near repaying the investment Mercury had made in her, which, of course, was charged against her potential royalties on the company books. (Although she received yearly advances from the label, she later said that she did not see her first royalties from Mercury until 1988.) So, she sought a release from her contract and, after cutting one more album for Mercury, her sixth LP, Behind the Scene, released in September 1983, she signed to MCA Records, her new contract taking effect on October 1, 1983. The first fruits of the switchover suggested that not much had changed. Her debut MCA single, "Just a Little Love," was a Top Five hit in June 1984, shortly after the release of an album of the same name, but that LP was actually less successful than Unlimited. McEntire took strong action. Set to have Harold Shedd (Alabama's producer, and thus a hot commercial property) produce her next album, she rejected his suggestions for songs and the sweetened arrangements he imposed on them and appealed to Jimmy Bowen, the newly installed president of MCA's country division. 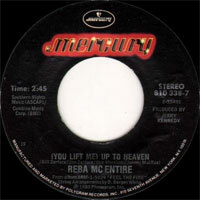 Bowen allowed her to pick her own material and to eliminate the strings and other pop touches used on Just a Little Love and her Mercury releases. The result was the pointedly titled My Kind of Country, released in November 1984, which was dominated by covers of old country songs previously performed by Ray Price, Carl Smith, Connie Smith, and Faron Young. Even before the album's release, however, and before its advance single, "How Blue," hit number one, McEntire was named Female Vocalsist of the Year by the Country Music Association (CMA) on October 8, 1984. It was a surprising win; Dolly Parton, Barbara Mandrell, and Charly McClain had all arguably been more successful during the previous 12 months. But it was a forward-looking recognition for a performer who was wisely aligning herself with such artists as Ricky Skaggs and George Strait as a "new traditionalist," moving country music back to its roots after the decline of the pop-country Urban Cowboy phenomenon of the early '80s. "How Blue" hit number one in January 1985, followed by the second single from My Kind of Country, "Somebody Should Leave," which topped the chart in May as the album reached number 13. (Eventually, it was certified gold.) With such success, McEntire was able to start headlining her own concerts. For her next album, Have I Got a Deal for You, released in July 1985, she worked directly with Bowen, the two billed as co-producers. Another new traditionalist collection, it included her own composition "Only in My Mind," a Top Five hit, as well as a Top Ten hit in the title song; though the LP was not as successful as its predecessor, it too went gold over time, and it helped McEntire earn her second consecutive CMA award as Female Vocalsist of the Year. Another important accolade came on January 14, 1986, when she became a member of the Grand Ole Opry. Her career in high gear, McEntire released her next album, What Am I Gonna Do About You, in September 1986, prefaced by a single of the same name that hit number one, as did the gold-selling LP, which also featured the chart-topping single "One Promise Too Late." On October 13, 1986, McEntire not only won her third consecutive Female Vocalsist of the Year Award from the CMA, but also was named Entertainer of the Year. On February 24, 1987, she won her first Grammy Award for Country Female Vocals for "Whoever's in New England." She released Reba McEntire's Greatest Hits in April; it became her first platinum album and eventually sold over three million copies. (It also became her first album ever to cross over to the pop charts.) On June 25, 1987, she filed for divorce from Charlie Battles, her husband of 11 years. After her divorce was settled and Battles was awarded the couple's ranch in Oklahoma, she moved to Nashville. McEntire's string of hits continued with the release of The Last One to Know in September 1987, prefaced by a single of the same name that reached number one in December. The album, also featuring the number one hit "Love Will Find Its Way to You," reached number three and eventually went platinum. McEntire won an unprecedented fourth straight CMA award as Female Vocalsist of the Year in October. In November, she released a holiday album, Merry Christmas to You, which, over the years, sold more than two million copies. 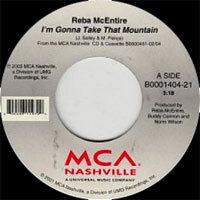 She engendered controversy with her next album release, Reba, which appeared in May 1988. Here, an artist who had jumped on the new traditionalist bandwagon in 1984 abruptly jumped off, returning to more of a pop-oriented style, without a fiddle or a steel guitar anywhere. The album's leadoff single was "Sunday Kind of Love," a cover of the 1947 Jo Stafford pop hit. It peaked at number five in July, actually the worst showing for a McEntire single in nearly three years. But the album had already begun a run of eight weeks at number one by then, and it was supported by the subsequent chart-topping singles "I Know How He Feels" and "New Fool at an Old Game." It eventually went platinum. Also in 1988, McEntire founded Starstruck Entertainment, a company that handled management, booking, publishing, and other aspects of her career and, eventually, represented other artists as well. Sweet Sixteen, released in May 1989, was actually McEntire's 14th regular studio album, but her 16th counting her authorized MCA hits compilation and Christmas album. The leadoff single was a cover of the Everly Brothers' "Cathy's Clown" that hit number one in July, and it was followed by three Top Ten hits, "'Til Love Comes Again," "Little Girl," and "Walk On," as the LP spent 13 weeks at the top of the charts, with sales eventually crossing the million mark. It also reached the pop Top 100. McEntire had already recorded her next album, Live, the previous April for release in September and, though it took more than a decade, another platinum certification. That gave her some breathing space. On June 3, 1989, she married Narvel Blackstock, her manager, who had been part of her organization since joining her band as its steel guitar player in 1980. On February 23, 1990, she bore him a son, Shelby Steven McEntire Blackstock. A month earlier, she had made her feature film acting debut in the comic horror film Tremors, which had been shot the previous spring. McEntire was back on tour by May 1990, and she returned to record making in September with her 15th regular studio album, Rumor Has It, which was prefaced by the single "You Lie," a number one hit. Three other songs from the LP placed in the country Top Ten: the title song, a revival of Bobbie Gentry's 1969 hit "Fancy," and "Fallin' Out of Love." The album eventually sold three million copies. McEntire was on tour promoting it when, on March 16, 1991, seven members of her band and her road manager were killed in a plane crash after a show in San Diego. She dedicated her next album, For My Broken Heart, to them when it was released in October. The disc was another massive hit, going gold and platinum simultaneously shortly after its release and eventually selling four million copies, its singles including the chart-topping title song and another number one, "Is There Life Out There." Also in 1991, McEntire co-starred in the TV mini-series The Gambler Returns: The Luck of the Draw. Her 17th album, It's Your Call, was released in December 1992, and, like Rumor Has It, it was an immediate million seller, eventually going triple platinum. (It was also her first Top Ten pop album.) Its biggest single was "The Heart Won't Lie," a duet with Vince Gill that hit number one in April 1993. McEntire's next chart-topper was also a duet, "Does He Love You," sung with Linda Davis; it hit number one in November 1993 and was included on her September release Greatest Hits, Vol. 2, an album that sold two million copies practically out of the box and another three million over the next five years. "Does He Love You" won McEntire her second Grammy, for Best Country Collaboration with Vocalss, and a CMA award for Vocals Event. She also appeared in the TV movie The Man from Left Field in 1993. By 1994, while continuing to reign as country's most successful female singer, McEntire was increasingly turning her attention to other concerns. Her 18th regular studio album, Read My Mind, appeared in April. Another instant million-seller that went on to go triple platinum, it threw off five country chart singles, among them the chart-topping "The Heart Is a Lonely Hunter" and, controversially, "She Thinks His Name Was John," a song about a woman who contracts AIDS from a one-night stand. Even McEntire's star power could propel such an atypical country subject only as high as number 15 in the charts. Meanwhile, she had parts in two feature films released during the summer, a speaking role in the drama North and a cameo in the children's comedy The Little Rascals. (She also made an uncredited appearance in the Western film Maverick and was heard on the soundtrack album.) She executive produced and starred in the TV movie Is There Life Out There? (based on her song), and she published her autobiography, Reba: My Story, which became a best-seller. McEntire's 19th album was called Starting Over, released in October 1995. Intended to mark the 20th anniversary of her recording career, it was a collection of covers of well-known songs. It not only topped the country charts but hit number five in the pop charts, selling a million copies out of the box. But, boasting only one Top Ten hit, a revival of Lee Greenwood's "Ring on Her Finger, Time on Her Hands," among three chart singles, and not achieving a multi-platinum certification, it suggested that McEntire finally had peaked commercially as far as country music was concerned. (In a considerable departure for a country singer, MCA released a dance remix of McEntire's revival of the Supremes' "You Keep Me Hangin' On" from the album that reached number two on Billboard's dance chart.) That didn't keep her from starring in another TV mini-series, Buffalo Gals, playing famed Western sharpshooter Annie Oakley, a part her rodeo background suited her to perfectly. She bounced back on the country charts somewhat with her 20th album, What If It's You, released in November 1996. The album spawned four Top 20 hits, with "How Was I to Know" reaching number one and "The Fear of Being Alone" and "I'd Rather Ride Around with You" each getting to number two. Simultaneously certified gold and platinum, the album eventually topped two million copies. As in 1997, McEntire went without an album release in 2000, and in this case, it turned out that she definitely was positioning herself for a career beyond country music, as events in 2001 showed. In February of that year, she stepped in as a replacement star in the Broadway revival of Irving Berlin's musical Annie Get Your Gun that had begun performances in 1999 with Bernadette Peters in the title role of Annie Oakley. Barry and Fran Weissler, the producers of the revival, were known on Broadway for making money by keeping production costs down and by the extensive use of what was derisively called "stunt casting": bringing in a well-known personality, often one without much of a theater background, as a replacement to extend the run of a show, as a means of exciting the tourist crowd who would recognize the name of a prominent TV star, for example. McEntire had been preceded as a replacement in Annie Get Your Gun by soap opera star Susan Lucci and TV actress Cheryl Ladd, both of whom kept the show going while being largely ignored or derided by theater insiders. 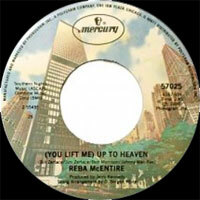 By 2005, the catalogs of Mercury and MCA had been combined in the major label Universal, and in November MCA released McEntire's first combined hits collection, the double-CD set Reba: #1's, with two newly recorded tracks. It went gold and platinum simultaneously. In 2006, as she began the sixth season of Reba, McEntire also voiced a character in the holiday film release Charlotte's Web. The sixth season of Reba proved to be the last, as the show signed off the air on February 18, 2007. Not one to sit idle, McEntire toured the U.S. from May 25 through August. On September 18, 2007, she released a new album, Reba Duets, featuring such guests as Justin Timberlake, Don Henley, Kelly Clarkson, Kenny Chesney, Carole King, Faith Hill, Ronnie Dunn of Brooks & Dunn, Vince Gill, Rascal Flatts, LeAnn Rimes, and Trisha Yearwood. It was prefaced by the single "Because of You," a duet with Clarkson. For the week ending October 6, 2007, Reba Duets became McEntire's first album ever to enter the pop charts at number one. The October 28, 2008 release of the three-disc set 50 Greatest Hits marked the conclusion of her contract with MCA Nashville, and McEntire signed to Valory Music. Through the singer’s Starstruck imprint, Valory released her next album, Keep on Loving You, on August 18, 2009. For the week ending September 5, 2009, it became her second album to enter the Billboard pop chart at number one. Not content to rest on her laurels, McEntire issued the single "Turn on the Radio" in the late summer of 2010, which made the Top 30 on Billboard's country chart. The Dann Huff-produced album All the Women I Am was released in the late fall. 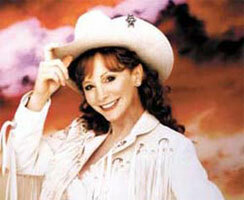 McEntire starred in the 2012 ABC sitcom Malibu Country; the show was cancelled after one season. In 2015, she returned with Love Somebody, her first album in five years. A year later, McEntire released a holiday-themed album, My Kind of Christmas, which was released in cooperation with the popular restaurant chain Cracker Barrel. Early in 2017, McEntire put out Sing It Now: Songs of Faith & Hope, a double-disc inspirational album featuring a disc of traditional hymns and a disc of contemporary material. McEntire teamed with producer Buddy Cannon for 2019's Stronger Than the Truth, a return to hard country for the singer. 09/2003 CD MCA B0001404-21 (US) . 01/2004 CD MCA B0001981-21 (US) .